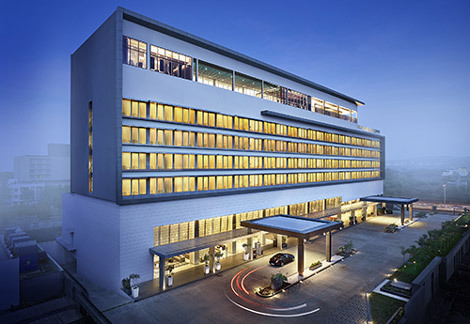 Taj Hotels Resorts and Palaces has opened its first Gateway property in Pune. The Gateway Hotel Hinjawadi Pune, which is located 25 kilometres from Pune airport, contains 150 rooms, including six suites. Deluxe rooms start at 25 sqm while executive suites are 55 sqm in size. Facilities include free basic wifi; a business centre with workstations, secretarial services and video/teleconferencing capabilities; three banquet spaces; and a spa, fitness centre and rooftop swimming pool. The Concord, a pillarless 410 sqm ballroom, can accommodate up to 280 guests (and can be divided into two) while a 40 sqm banquet room can accommodate smaller numbers. Food and drink venues include Buzz, an all-day dining option offering a mix of international and regional cuisine as well as an active foods menu for those looking for a healthy alternative; the Swirl bar; and the soon-to-open Sian restaurant, which will serve Chinese and Thai offerings. The new hotel is owned by PSC Pacicific and is operated by Taj Hotels.